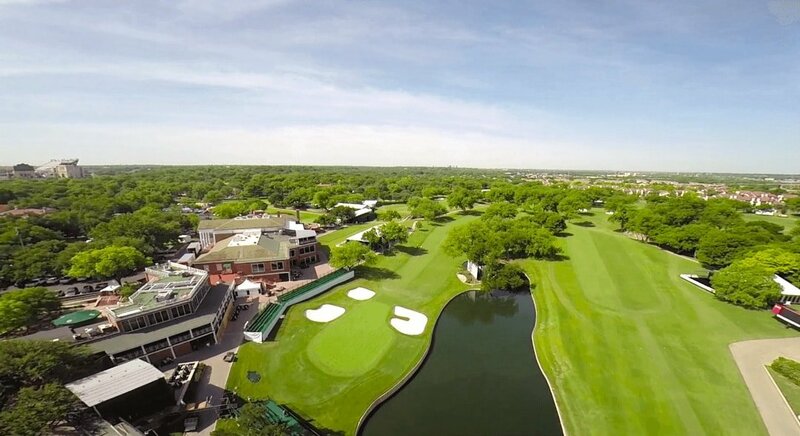 Capture stunning views of each hole from above with our state-of-the-art drones. Working in tandem with a seasoned camera gimbal operator, our skilled UAV pilot will fly a GPS-enabled hexacopter carrying a full-size DSLR camera over your club to capture high definition photographs — perfect for online marketing, mobile apps, print brochures, billboards, and more. Using an unmanned aerial vehicle instead of a full-size helicopter makes it easier and far less expensive to get the property from every angle. We can shoot from dawn until dusk, and also capture on-the-ground footage of other amenities, like the club house, restaurant, and gift shop. Let us help you attract more guests. Call us today at 972-318-2811 for a free quote! Take your marketing campaigns to the next level with aerial video of your golf course or resort!